Foundation Skateboards, AYC, PIG Wheels, Bronson Speed Co, Independent Trucks and Home Skateshop. 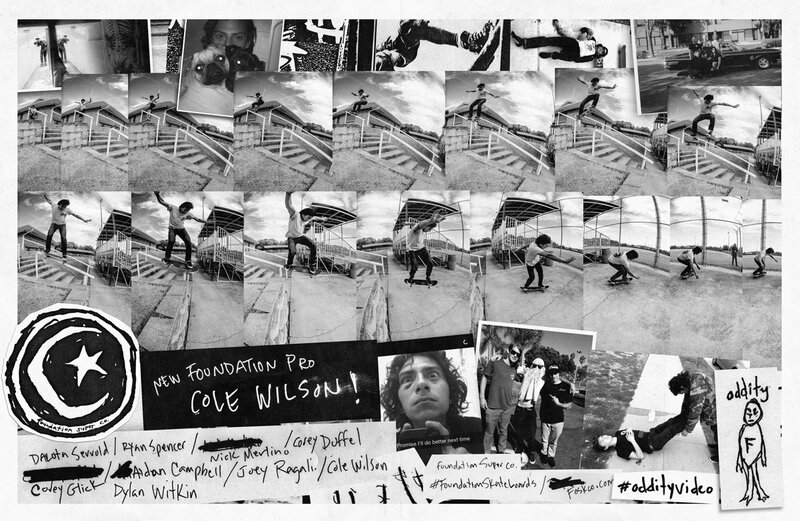 After skating with Cole Wilson in his hometown of Louisville Kentucky we all knew we had a new team rider for the F. The fit was just right and Cole was more than down for the team. Cole was working on a clean up crew for foreclosed homes in his hometown so when it came time to jump in the van and head west it was like he had been here for years. No ego, no attitude, no high expectations. Cole Wilson let's his skating do the talking. Watch his intro to Foundation & Hulk Ripps video here.